The veteran top laner may not be with Fnatic next season. Paul “sOAZ” Boyer has been given permission by Fnatic to engage in talks with other organizations, sOAZ announced via Twitter on Sunday. The legendary top laner said he’ll officially become a free agent on Nov. 19, and with Fnatic letting him talk with other teams, it appears the veteran will actually hit the free agent market this offseason. 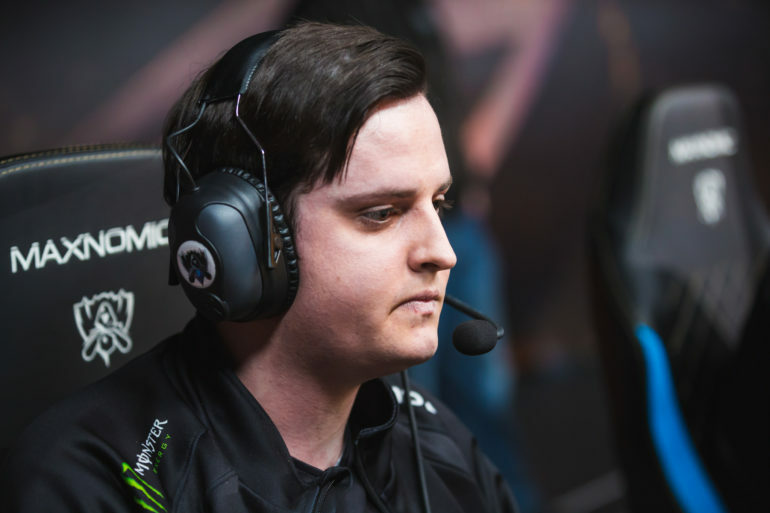 This would end sOAZ’s two-year stint with Fnatic, a team he joined in December 2016. Fnatic has given me permission to speak with other organisations before my official free agency on the 19th. Looking forward to many more years at the top. While this current run has been about two years, sOAZ has a much deeper link to Fnatic. In June 2012, 18-year-old sOAZ signed with Fnatic. Despite the roster changing several times, sOAZ remained with the organization for two and a half years. In that time, Fnatic won the first three EU LCS split playoff titles and reached the semifinals of Worlds 2013. At the beginning of the 2015, sOAZ moved to Origen, a team he’d stay with for the next two years. But sOAZ eventually returned to Fnatic, where he secured two more top eight finishes at Worlds, including a second-place showing earlier this month. Despite the finals appearance at Worlds 2018, it appears sOAZ won’t be a part of Fnatic’s future as the team reportedly joins the new EU LCS franchising league system. Fortunately, sOAZ will likely have several suitors, especially with many new teams reportedly coming into the EU LCS in 2019. Five new teams—SK Gaming, North, Rogue, Movistar Riders, and Astralis—are reportedly set to enter the EU LCS as permanent partners next year, and sOAZ very well may lead one of those teams’ inaugural rosters from the top lane.